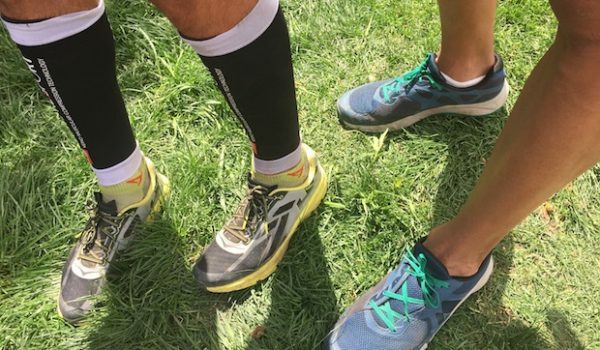 For Lightweight Trail Running Shoes we focus on six main areas of testing (comfort, speed, security of fit, agility, responsiveness and protection) that we feel can wholly capture the purpose, feel and nature of a shoe. This season we had nine testers from all over the country and a variety of running backgrounds. 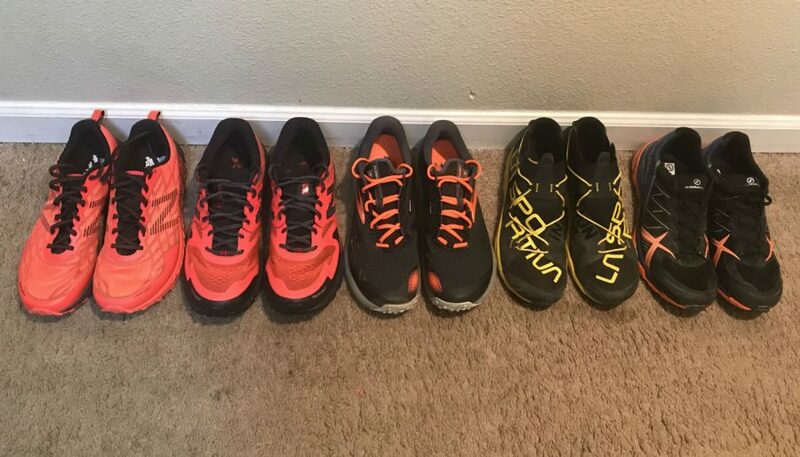 Some have been running for many years, some are newer to the sport, but everyone brings a shared goal of honestly and accurately testing each shoe. We strive for a wide sampling of runners. 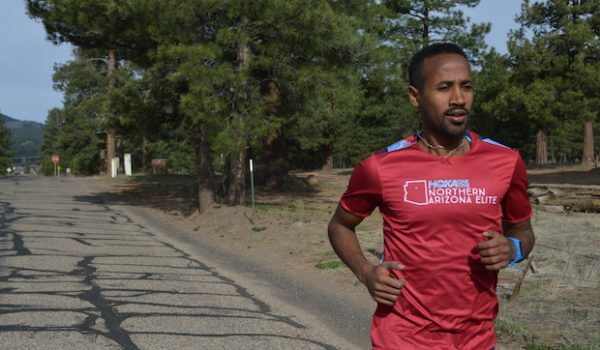 We have both men and women, elite athletes and middle of the pack runners, people from the Rocky Mountains to the desert in the South West to the East Coast. Having a diverse test crew is very important in order to get the most relevant information to the reader. We require each tester to run at least 50 miles in each shoe. In addition to that we strongly recommend varying the terrain and running on single track trails, mountains, in the mud and rain, in the snow, on the grass, on the road, etc. We want to ensure these shoes are tested in the same way most people will be running in them and so we try to put them through everything we can. This year we continued to see brands making very comfortable shoes that are also very lightweight. Gone are the days were a lightweight shoe had to be minimalist or harsh. 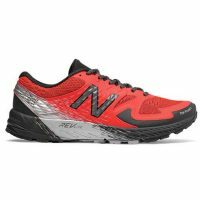 There was a subcategory of race oriented shoes that were clearly made for race day and not much else. Not surprisingly, the brands that were able to strike that middle ground of comfort and race day speed were the highest ranked. The North Face Flight RKT is the best all around shoe tested this season. It is light, responsive, fast and very comfortable. Unless you are looking for a technical mountain shoe, you will be hard pressed to find a better shoe than this. 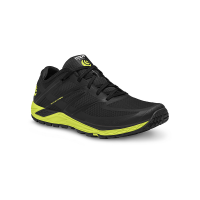 A very fast, grippy shoe that works best in technical or wet conditions. Under foot protection is sacrificed for weight and flexibility but it is a fair trade considering how good this shoe is otherwise. The VK is a race ready shoe, as long as that race is a VK (vertical kilometer). This shoe knows what it was made for and it does it very well. This is a fast shoe for a very specific purpose—going up. 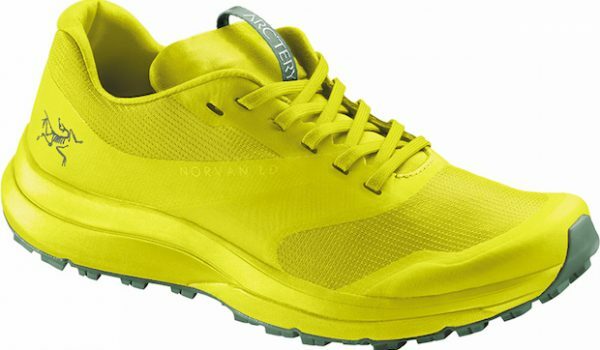 The Topo Runventure 2 is a solid and comfortable trail runner that provides protection in rough terrain and outstanding comfort for longish days on the trail. 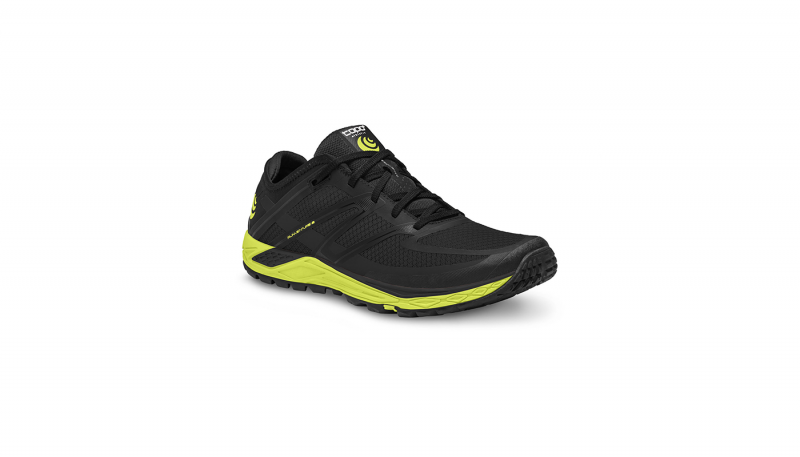 Like all Topo Athletic shoes, the Runventure 2 is built to maintain natural running biomechanics, but can also accommodate traditional heel strikers or transitioning runners. 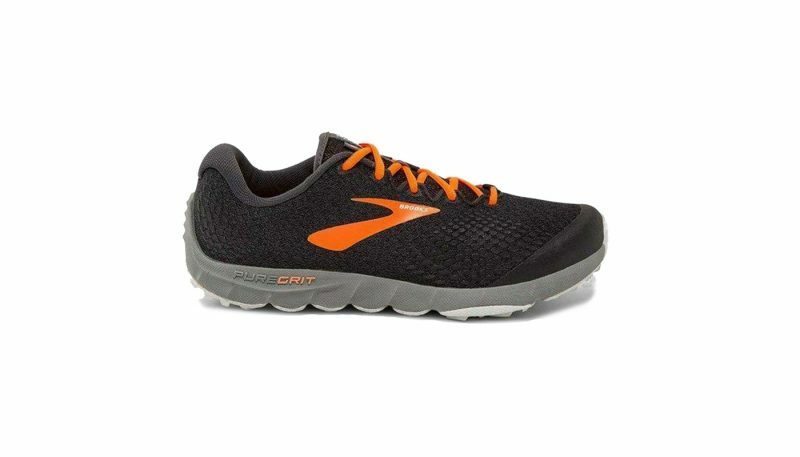 The Brooks PureGrit 7 is a great all around non-technical, everyday trainer. 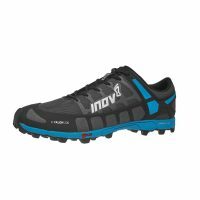 It is comfortable and works great for buffed trails but lacks the technical features for more advanced trails. 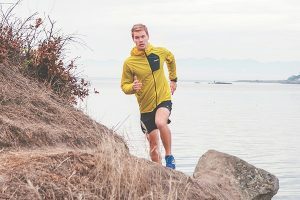 With six criteria – comfort, speed, security of fit, agility, responsiveness and protection – we were able to take some of the most exciting lightweight trail runners and present our top five. The New Balance Summit Unknown came out on top and was the most well rounded shoe. The biggest surprise shoe was probably the Scarpa Spin RS. It was not the highest scoring shoe in any category, but was tied with the Summit Unknown in terms of being a solid all around shoe. 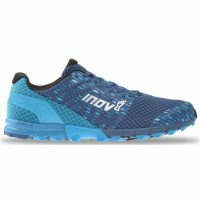 As trail running continues to explode in 2018, it is exciting to see new shoes redefining what a lightweight trail shoe can be. 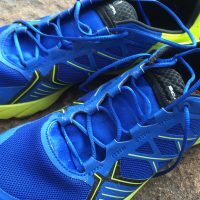 It was not too long ago that a lightweight trail shoe was synonymous with minimalist and uncomfortable for long distances. 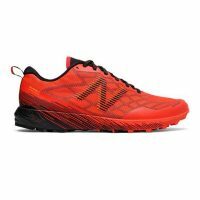 Now, we have shoes like The New Balance Summit Unknown that is one of the lightest shoes available at 8.6 ounces but is comfortable to go the distance of a 100 miler. 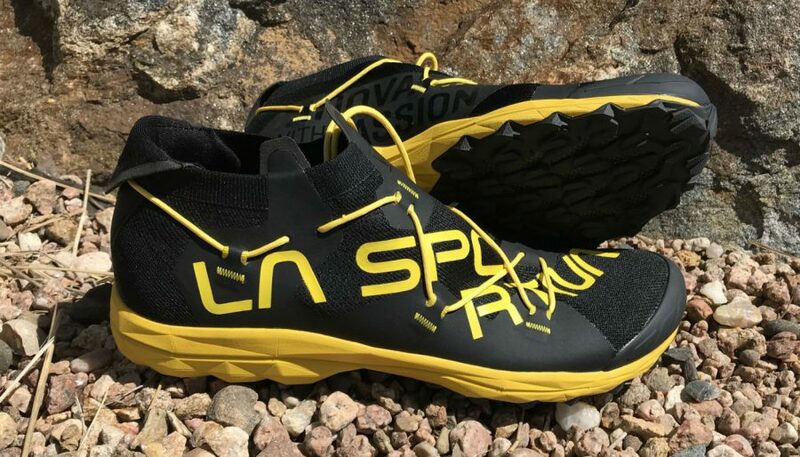 Some brands continue to stay in their niche, such as La Sportiva, where they make very specific shoes like the VK that is designed to just go uphill, very quickly. It is not necessarily a bad thing for companies to stay within their niche. This season is an example of that with all brands represented, making really quality shoes but nothing outside the box of what they have done before. This season’s tested shoes: New Balance Summit Unknown, New Balance Summit KOM, Brooks PureGrit 7, La Sportiva VK, Scarpa Spin RS. 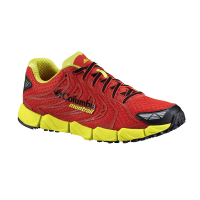 For the comfort category we mainly looked for cushioning, flexibility, upper materials and general fit. 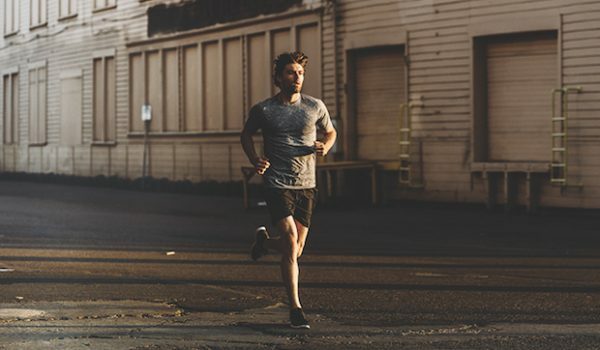 Comfort is a fairly broad reaching category that runs into almost every other category, for example, a shoe may be very fast, but if it is uncomfortable then you can’t run fast in it. The top overall performer was the new The Brooks PureGrit7. 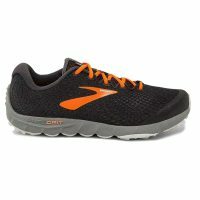 This shoe utilized a knit mesh upper which has been a new popular trend in road shoes. There are no overlays on this upper which helped make a very comfortable, seamless upper but also one that is not very protective. 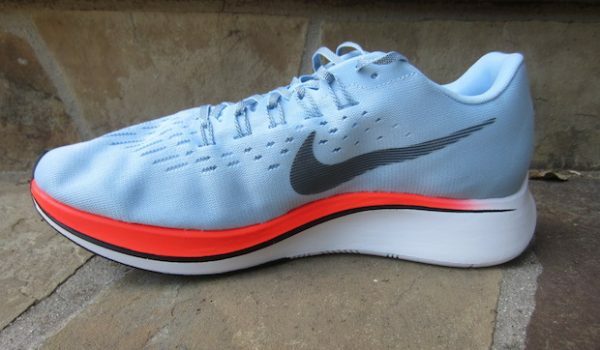 It also had an incredibly cushioned, lightweight and responsive midsole. 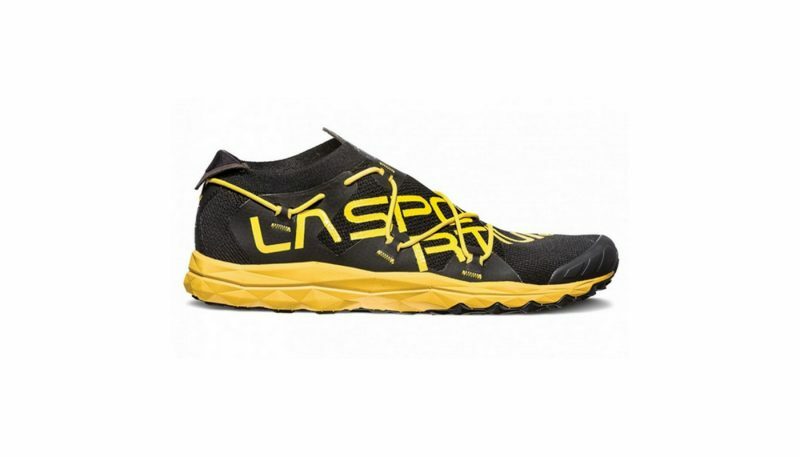 In contrast to The PureGrit is the La Sportiva VK which was ranked as the lowest in comfort. This shoe has a very snug and tight upper and a harsh midsole. Most race oriented shoes, like the VK, rank very low on comfort. 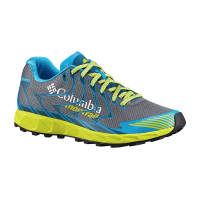 Generally speaking, most lightweight shoes are going to be faster than your average shoe, just based on weight alone. However, some are more race oriented than others. We determined if a shoe was fast by a combination of its responsiveness, grip, fit, “pop”, and a general “fast” feeling. Some shoes feel fast on buffed single track, some are fast on technical terrain. 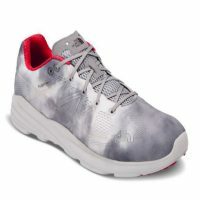 The fastest shoe for non-technical terrain was the New Balance Summit Unknown. This shoe out scored all others, except the Scarpa Spin RS. 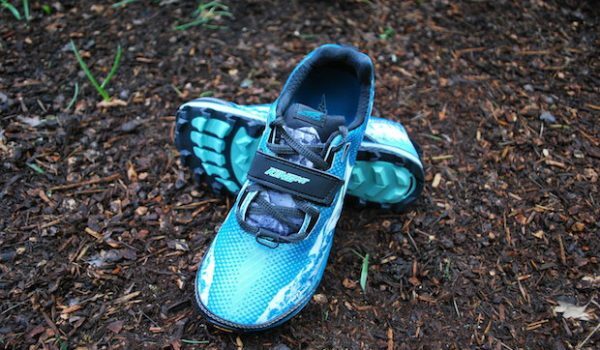 The Spin RS has the deepest and most aggressive lugs of any shoe tested and loved going fast on gnarly and wet terrain. For our definition, security of fit means how well the foot fits in and how secure it feels in the shoe. We are looking for how the heel fits, is the toe box too narrow, does the foot slide around while making hard turns, does the lacing system work well, and does it run true to size. We do our best to make our testing categories as objective as possible, but this may be the most subjective one. Since everyone’s foot is different, one shoe can fit someone really well and be the worst thing for someone else. That is why in our reviews of the shoes we try and make sure every tester’s voice is heard and we outline the good and bad of each shoe. We had several shoes this season that scored equally well in this category. The common thread running through all of them was how secure the midfoot felt and how well it prevented our feet from sliding around with how well the laces work in securing the shoe to the foot. This season almost all shoes scored the same. 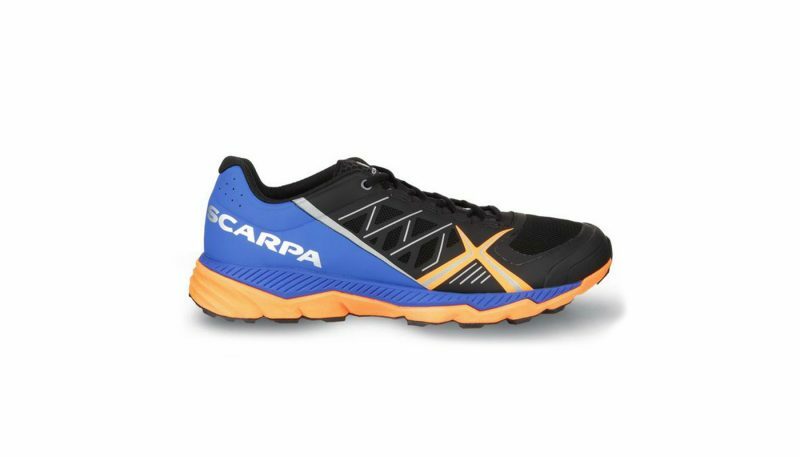 However, the Scarpa Spin RS stood out as having the most secure fit, even if it runs a little small. Agility is the shoe’s ability to cut back and forth to avoid obstacles and handle tight switchbacks. 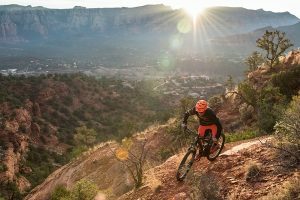 It’s a combination of grip and security of fit that work together to help you confidently carve up the trail. 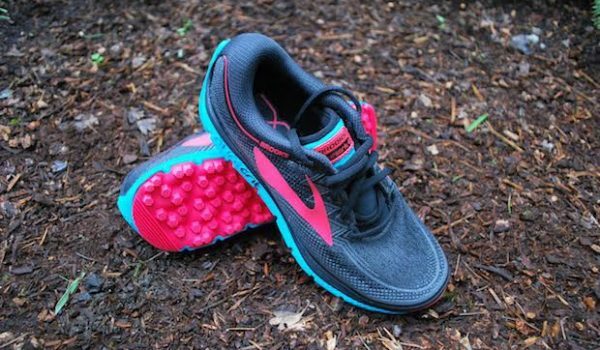 Typically the more race specific a shoe is the more agile it is because they have a lower drop and lower profile which really helps with ground feel. 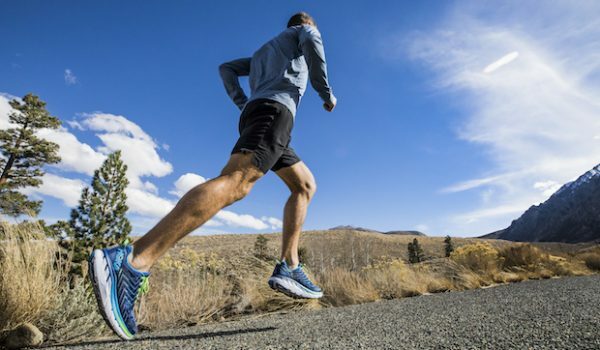 A shoe that is more cushioned or comfort focused tends to be a slower shoe, with less aggressive outsoles and so agility is not as good, but also not as important since you can roll over most obstacles. The most agile shoes were also our two fastest shoes, the New Balance Summit Unknown and the Scarpa Spin RS. They both offer incredible grip and are very agile due to their lower profile designs and snug fits. The Spin RS excels on very technical and soft terrain where the Summit Unknown works best on hard packed trails. The definition of responsiveness is how much energy the shoe returns with each foot strike. The level of responsiveness is typically based on the midsole material. Generally, a firmer shoe is more responsive than a plush, highly cushioned shoe. 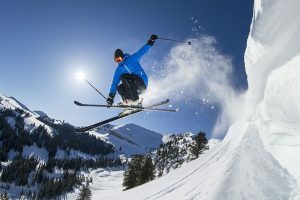 But with advances in midsole technology and new midsole materials shoe companies are starting to figure out how to make a shoe that is well cushioned and responsive. 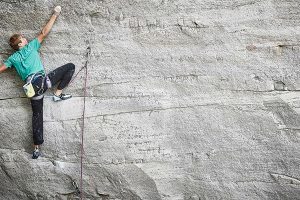 The best example of this is the Scarpa Spin RS. 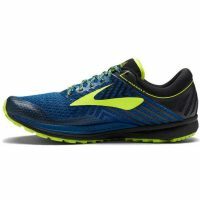 It is firmer than a Hoka style shoe, but softer than a race day shoe and was tied for the highest responsiveness rating. Both New Balance shoes, the Summit KOM and the Summit Unknown use the same midsole material but have different rock plates and outsoles which also greatly plays into how responsive a shoe feels. The Summit Unknown was tied for the most responsive but the Summit KOM scored the lowest. 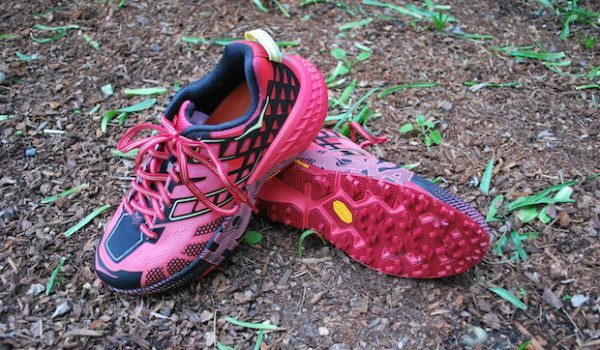 For a trail running shoe, protection is one of the most important features on the shoe. 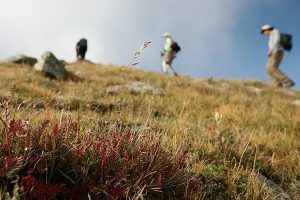 Depending on the trails you run, protection might be very important if you run in the mountains or less important if your trails are not technical. Not surprisingly race shoes tested very fast but they had poor protection due to their thin midsoles. Lightweight shoes are not known for their protection but a few still did a pretty good job. 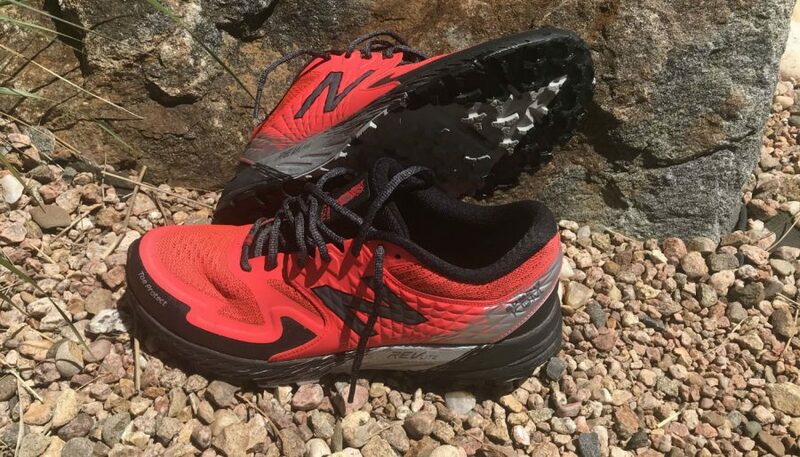 The New Balance Summit KOM, even though not a very popular shoe with our testers, was one of the most protective shoes tested. Some of the features that made it so protective was a rock shield that stopped sharp rocks from penetrating the shoe. It also had a firm midsole and full rubber outsole, all of which make for a lot of great underfoot protection. It also had a nice padded upper which helped protect against side impacts. 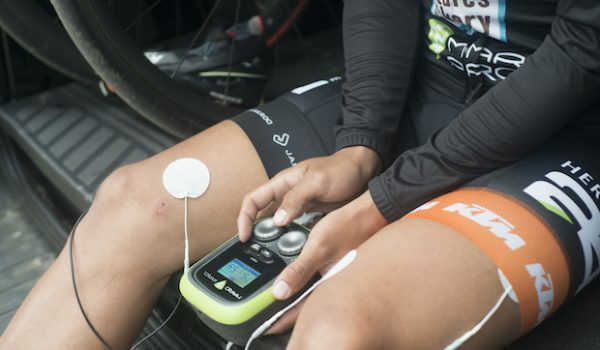 Our testing spans the course of several months. Our testers spend a few weeks running at least 50 miles (typically much more) in each shoe. 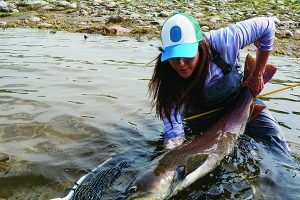 They live all over the country so each shoe can be put through our testing protocol in a variety of terrains and conditions. 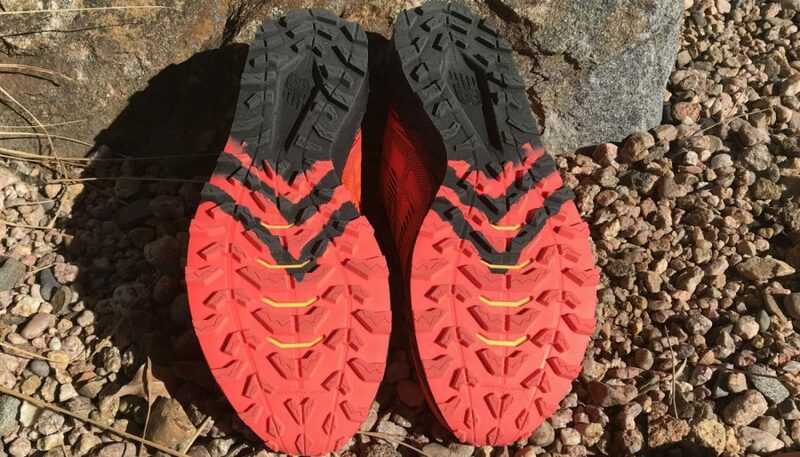 Each tester is encouraged to test the shoes in as many different terrain environments as possible: in the mountains, on dirt roads, buffed single track, technical terrain, etc. In addition to varying terrain, our testers have to test each shoe at different efforts including a long run, easy running and fast running. As mentioned above we test for six different criteria: comfort, speed, security of fit, agility, responsiveness and protection. Comfort is the broadest category but looks mainly at cushion, upper materials (including seams, hot spots, etc. ), and the general fit (too wide, high volume, narrow, etc.). 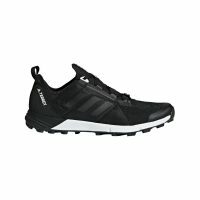 The speed category looks at how fast the shoe can go, does it help you run faster, and does it feel fast. As mentioned above security of fit can be a little subjective since each person’s foot feels different in every shoe. But, we are generally looking for how well the shoe secures to the foot. Does the heel slip, is it too tight, do the laces pinch the top of the foot, does the foot slide around; these are questions we ask while testing the security of fit. Agility tends to correspond very closely with speed and responsiveness since most attributes that make a shoe agile (low profile, good grip, good ground feel) also make it fast and responsive. Responsiveness refers to how much energy the shoe returns to your stride. The final category, protection, is the most straightforward and objective. 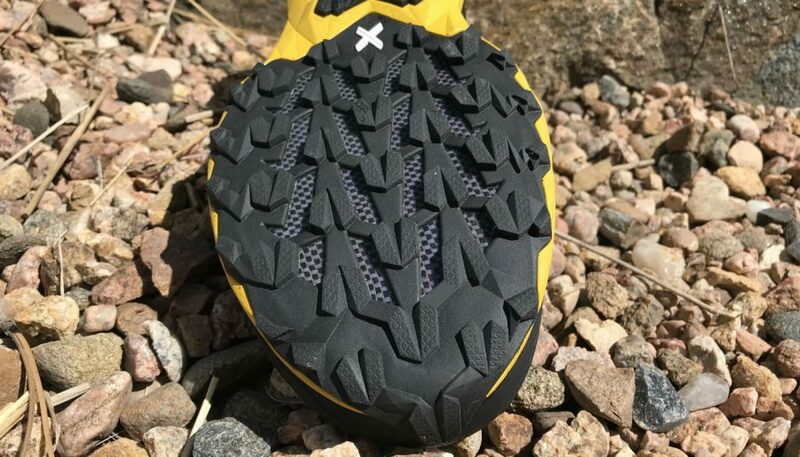 Does the shoe stop rocks from penetrating the bottom of the shoe, does the toe bumper prevent you from stubbing your toes, and is there enough padding on the upper to stop rocks from poking through the sides. What is a Lightweight Trail Runner? 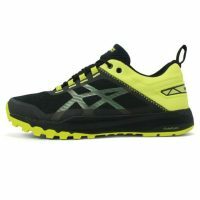 A lightweight trail runner is a shoe that is generally about 10 ounces or less. This is not a hard and fast definition as a couple of shoes in this season exceed 10 ounces, but they meet other criteria such as low profile midsoles, sleek design, or a fast feel. This season was defined by shoes that straddle the line of lightweight shoes and comfort shoes. This season, the Brooks PureGrit 7 is a perfect example of this. 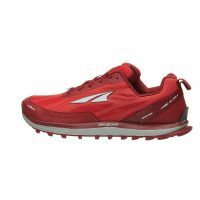 It comes in under 10 ounces, but it is the softest and most comfortable shoe this season even with a low drop and fairly fast feel. 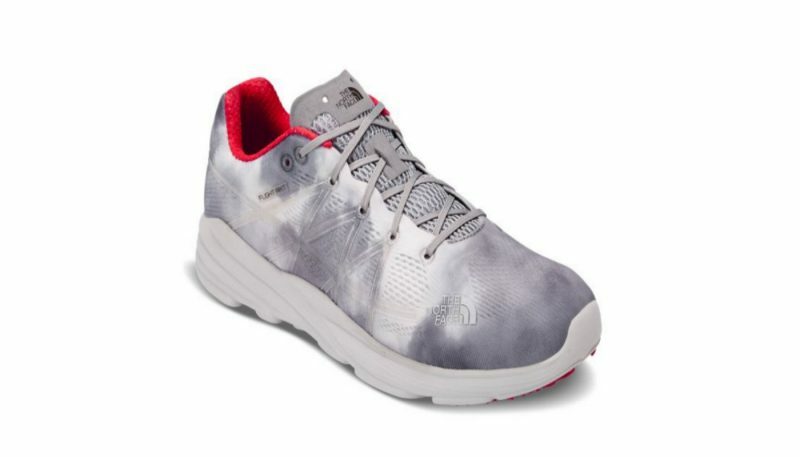 The shoe this season that most typifies a lightweight trail runner is the New Balance Summit Unknown. It is the lightest and one of the fastest shoes tested this season. 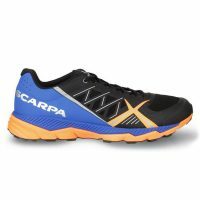 With these shoes, you are continuing to see the move away from ultra lightweight, race orientated shoes, to just lighter weight, everyday trainers. 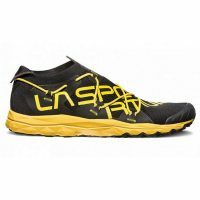 There will always be niche or race orientated shoes like the La Sportiva VK which is probably the most niche shoe we have tested. 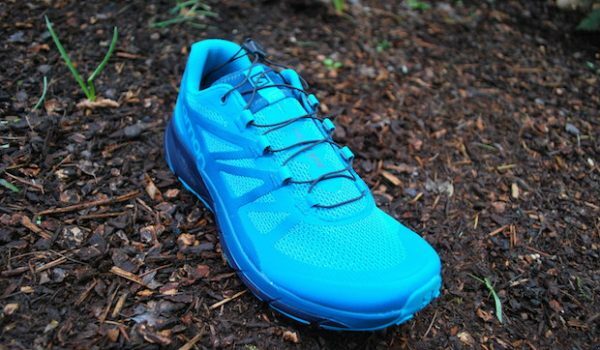 If you have never tried a lightweight trail shoe, now may be the time. 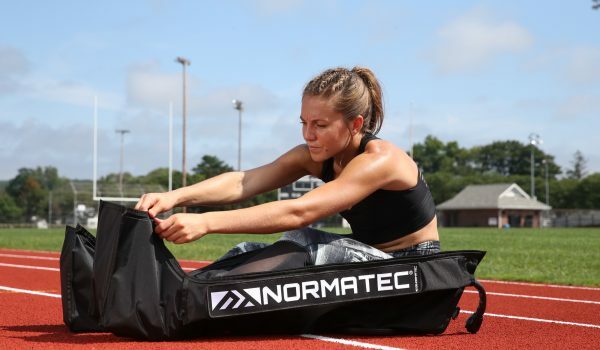 With more options than ever, and higher quality and more comfort, you may find that you have been lugging around more weight than necessary.